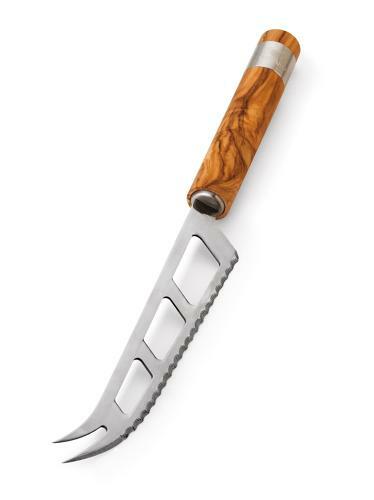 CHEESE KNIFE OLIVE WOOD HANDLE - Serrated blade with double pointed end. Angled cut outs help cut without resistance. Berard logo on a steel ring. Boxed.